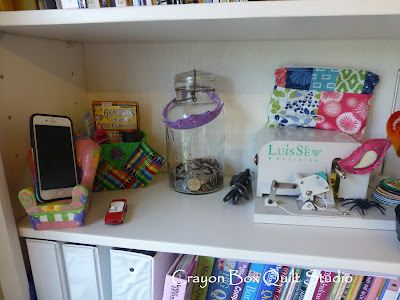 Last year I joined in on the Piggy Bank Challenge over at Val's Quilting Studio. I'm a few days late reporting how I did but here it is. 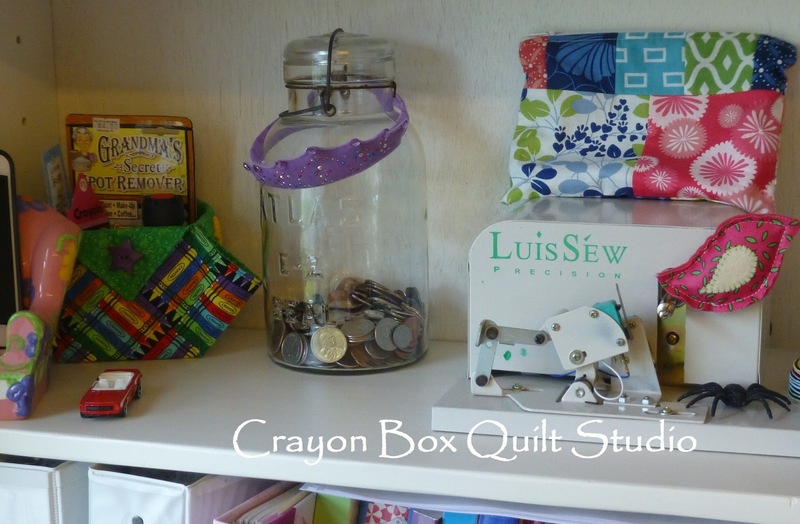 My collection jar sat on the shelf in my studio right next to my bobbin winder and a few other goodies. This is how it looks today, not even 1/4 full. To be honest I didn't remember it much throughout the year, just when the change in my wallet got too heavy would I think to dump it all in the jar. 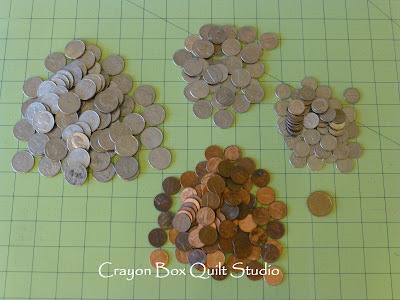 Here is what I managed to save. After counting it up, it comes to a whopping $30.85. Not great but not totally shabby either. So what am I going to spend it on? Nothing. All of the change went right back into the jar and the jar went back onto the shelf. Well $30 is good! 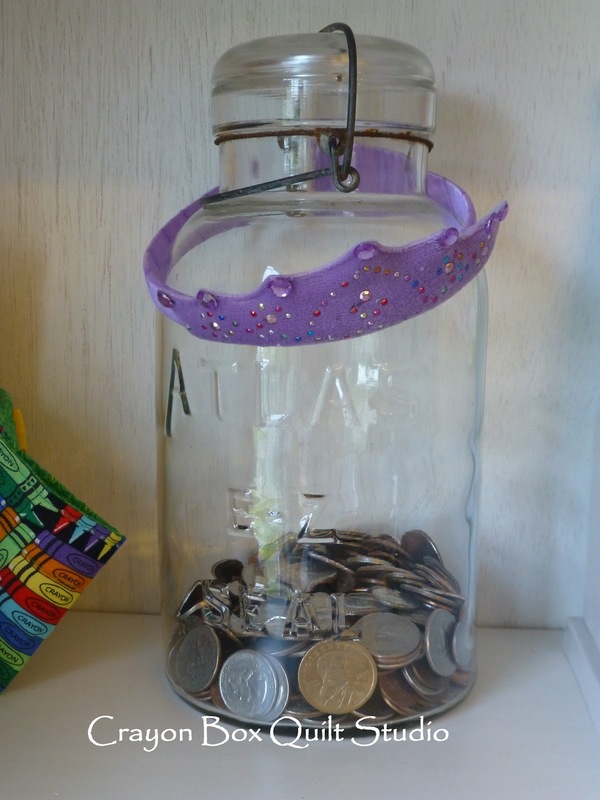 I checked mine this morning, I think its $51 or something like that, I am just going to concentrate on adding change to it when I have it and see how long it takes to fill it up, I'm with you! Hey...awesome....good to see change going to a quilty cause though. I kinda like your personal challenge of "filling" the jar....I mean if you are already at $30 bucks...you'll gather a good amount!